Offering you a complete choice of products which include led /601-led 27w site lamp and commercial led 54w site lamp. We are the leading trader, distributor and supplier of supreme quality range of LED Lamp for Commercial Use. 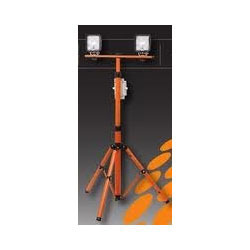 1600 LUMENS ,220V AC includes 3m powe cord,portable powder coated free standing steel stand with cushin grip & adjustable SSbracket IP68 CE.. Being the leaders in the market, we are engaged offering LED 54W Site Lamp.3200 LUMENS The site lamps offered by us are accessible in diverse sizes and have gained huge value for their dimensional accuracy & less maintenance. These site lamps are developed by utilizing finest grade unfinished material and progressive technology in accordance with predefined norms. 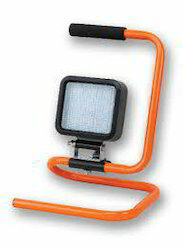 Additionally, these site lamps are examined by vendor’s competent experts against various provisions of quality. Looking for LED Lamp for Commercial Use ?